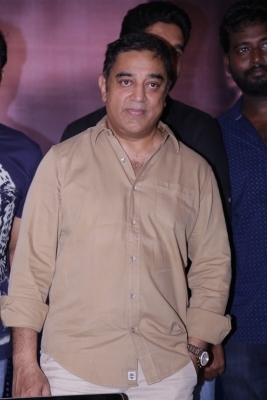 Film star Kamal Haasan on Thursday condemned the murder of journalist-activist Gauri Lankesh, saying silencing a voice with a gun is no solution to a debate. “Silencing a voice with a gun is the worst way to win a debate. Condolence to all those who are grieving Gauri’s demise,” Kamal, who last week hinted at forming a political party but made it clear he won’t ally with the “saffron” — the Hindu Right, tweeted. Lankesh was gunned down at her Bengaluru home on Tuesday night by unidentified assailants. Her killing led to wide spread protests and condemnation. Even Bollywood celebrities like Shabana Azmi, Javed Akhtar and Shekhar Kapur vehemently criticised the attack. However, some on Twitter, apparently right-wing supporters, said the Kannada journalist “deserved” what she got. Lankesh was on Wednesday given a state funeral by the Karnataka government.